These beautiful natural color tones would complement any occasion nicely. This common glitz/sequin Aisle Floor Runner will set the perfect mood for a wedding/event/party/banquets . 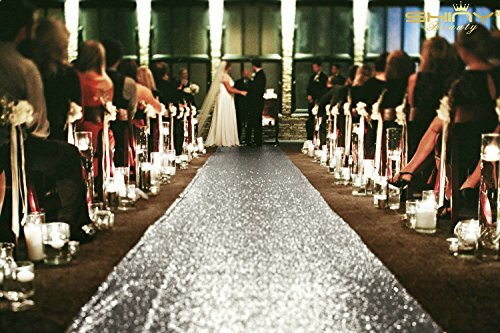 Give your occasion area a touch of fanstic and shinny with this sequin Aisle Floor Runner. Whether you're setting the table for guests or simply enjoying a event/banquet , this attractive beautiful sequin Aisle Floor Runner will add color to the occasion . First Sequin Aisle Runner Manufaucturer On Amazon . We focus on BEST QUATLIY For Sequin Aisle Runner;Wholesale Sequin Aisle Floor Runner, Aisle runner 25 feet, Carpet Aisle Runner,Aisle runner 100 ft, Aisle runner 25 feet,Aisle runner 50 ft,Aisle runner for wedding,Aisle runner gold,Aisle runner ivory,Aisle runner wedding, Wedding Aisle runner 100 ft, Aisle Runner ivory,Aisle Runner navy,Aisle Runner navy,Aisle Runner personalized,Aisle Runner red,Aisle Runner vintage,wedding Aisle Runner 100 ft,Aisle Runner 30 feet,Aisle Runner 4 feet,Aisle Runner black,Aisle Runner decor,Aisle Runner gray,Aisle Runner pink¡ê?Aisle Runner silver,Aisle Runner white,Aisle Runner champagne,Aisle Runner grey,Aisle Runner linen,Aisle Runner light blue,Aisle Runner purple,Aisle Runner rose gold,Aisle Runner turquoise,Aisle Runner cream,Aisle Runner teal,Aisle Runner customize.